At the beautiful NYU Fales Library on February 3rd, an intimate team of panelists explored why and how New York loves Italian. The complexity of this answer might surprise you and entice you to try something new in the realm of Italian New York. 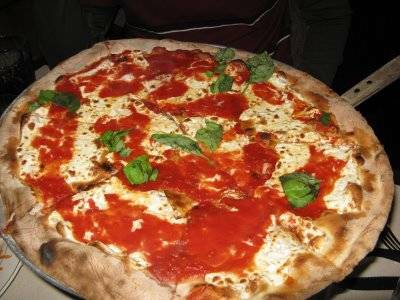 We all know that New Yorkers love Italian food. It’s something like a genetic code imprinted in us from birth; we cultivate by it trial and error, becoming pizza connoisseurs sometimes by default and the fact that it is impossible to avoid the pervasive nature of Italian cuisine in our city. How did New York’s obsession with Italian food transpire? Last week NYU hosted a panel discussion entitled “Why (and exactly how) New York Simply Loves Italian,” exploring Italian food and the Big Apple’s love for it. In order to elucidate the answers to this complex question, four authorities on Italian cuisine discussed, from varying perspectives, the origin and progression of New York’s love affair with la cucina italiana. Elena Kostioukovitch, author of Why Italians Love to Talk About Food, spoke about her experience in Puglia and how the seafood eating culture there showed her just how pure and magical the experience of eating can be; and that we can have a fulfilling culinary experience without cooking (to a certain extent), as it is typical for pugliesi to eat raw seafood, seizing the bounty of the clear Adriatic sea. 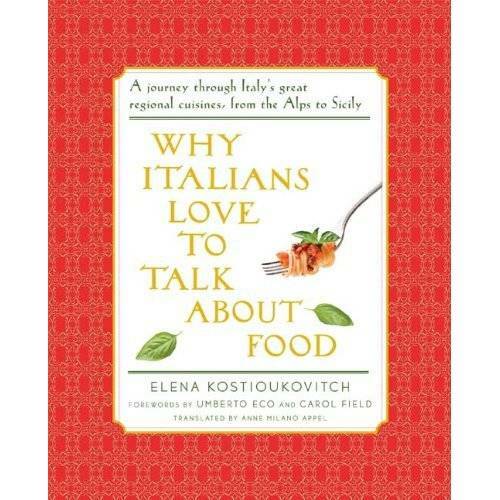 In her book, Kostioukovitch connects the regional nature of food culture in Italy with the pride and deep satisfaction one senses when encountering regional cuisines. The emphasis on regionality is applicable in New York, where Italians brought over very distinct – regional – food, and in doing so, contributed to the identity of Italian food in New York. 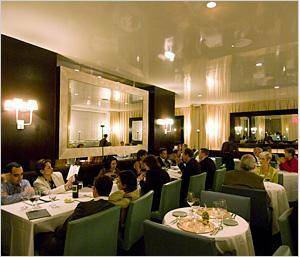 Immigrants from Campania and Sicily heavily influenced what are today typical New York Italian Style dishes. William Grimes, author of Appetite City, discussed the history of Italian restaurant culture in New York. In the mid 1800s, upscale Northern Italian restaurants dotted lower Manhattan, and the food was considered “exotic” on the palettes of Native Yankees. This elegant Northern Italian restaurant scene, encompassing parts Union Square, declined when millions of southern Italians began pouring into New York harbor in the late 1800s and early 1900s, completely altering the sensation of Italian eating in New York. Instead of catering to upper echelon clientele, southern Italian establishments, often mom-and-pop owned, sprang up and were accommodating paesani from their regions in boarding house quarters upstairs, in addition to Bohemians artists who sought inexpensive supper at the ground level trattorie. This time period is where we get the notion of checkered red-and-white tablecloths, mandolin players, and plates of spaghetti and meatballs doused in marinara sauce. 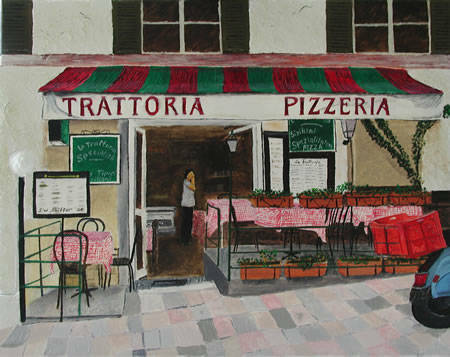 An inexpensive and quaint image of Italian cuisine grew out of this trattorie phenomenon, contributing to the style of Italian restaurants in NYC throughout the 20th century. Professor Fabio Parasecoli dialogued with moderator Clark Wolf about the element of ingredients in Italian cuisine. As a Roman gone New Yorker, Parasecoli has witnessed New York emerge over the past decade and a half as a mecca for the best (and most accessible) ingredients for Italian cooking. In Rome, where local markets cater to the needs of a very specific, regional diet, it is relatively easy to find ingredients for typical Roman fare. Parasecoli recalled that upon moving to New York in the mid 1990s, the ability to find affordable items for his cooking needs was much more limited than it is today. The growing popularity of the Mediterranean diet, along with the widespread realization that cooking Italian style food is not as complicated as one might think, both attribute to a wider range of products sold in New York. Local Italian specialty stores always made these ingredients available, but more competition has driven prices down, while quality and freshness are on the rise. Of course not all Italian food in New York is inexpensive. Restaurant owner Chris Cannon on the panel described why his upscale establishments, for example Alto, succeed, despite the recent economic crisis and consumers cutting back on superfluous outings and meals. The entire experience of eating is what some foodies are all about: it’s just not good enough to have fresh, amazing food paired with the perfect wine. Eating in a comfortable, elegant atmosphere - in which time stops and all that matters is the company of the food and people with the table – is what distinguishes Alto from the others and lures in the clientele. For those who can afford to pay for the best food while spending hours being catered to, Cannon’s restaurants offer an incomparable fine dining experience. This is why Cannon is successful: an attention to the fine details of Italian cuisine and the entire experience of eating out. The simplicity of ingredients, nostalgia for the past, the sheer number of Italian immigrants who settled in New York and retained culture through food, and inexpensive nature of fresh and local ingredients: these elements attest to the love of Italian food that all (if not most) New Yorkers feel deep down in their bellies.